Today is the fifth anniversary of my ICD implantation. Still, implant patients remain without access to our device data. While doctors and manufacturers have 24/7 access to patient data, including direct mobile access to reports and alert notifications about potential problems, patients are limited to hard copies of their interrogation reports (a "right to access" guaranteed by HIPAA). Such disparity in access is ironic considering that patients are the ones living with heart disease, not doctors or the manufacturer. 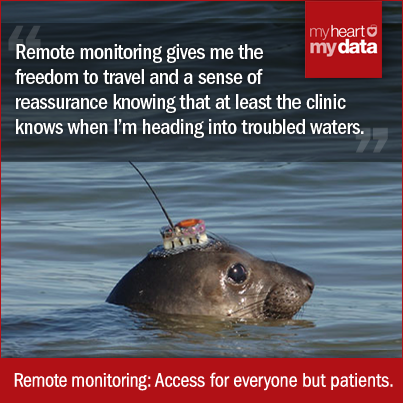 To mark this week, I will be posting daily pictures of how I see remote patient monitoring. Here's to fixing this by empowering patients with the same access enjoyed by clinicians and the manufacturer.